Council is completing investigations and design of the Village’s bus stops, which is required to accommodate the new Village Square. We have PTV and VicRoads approval in principle for this work. 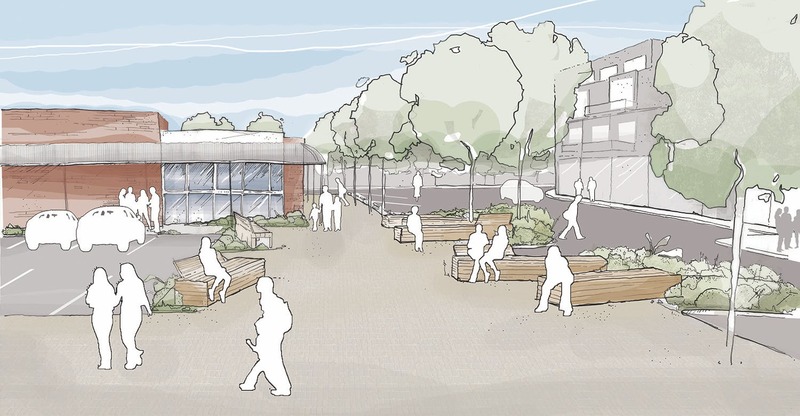 Our next step is to undertake detailed design of the footpaths, street furniture, trees and planting and then put the plans on display for everyone to view. We will talk with traders and residents about how we can minimise disruption during construction. Council endorsed the Masterplan at its May 2016 meeting and feedback was invaluable in helping to set its direction. The Masterplan sets the overall vision to enhance the Sandringham Village and make it a more attractive and appealing place to spend time. 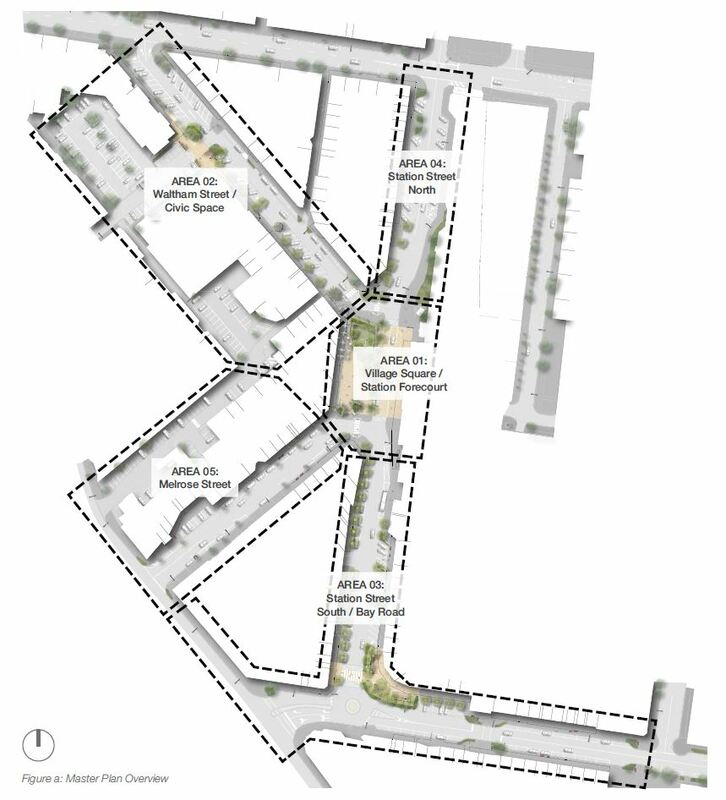 The endorsed Sandringham Village Streetscape Masterplan can be downloaded from the Document Library to the right of this page. 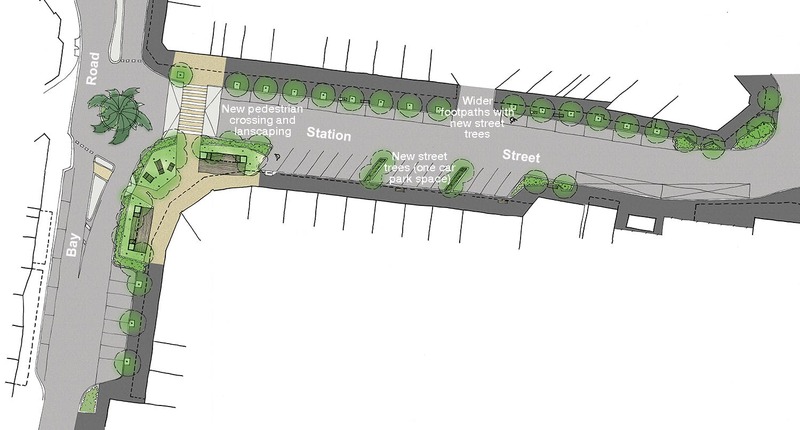 Wider footpaths with street trees in station street. Please note the Masterplan document in the document library to the right is split into three parts to make it easier to download and view. A new Village square immediately in front of the Sandringham Station will help to provide a community focal point in Sandringham Village. 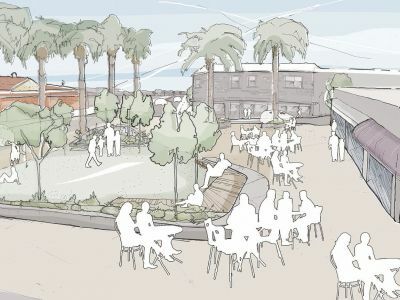 With new seating, garden plantings and green space as well as increased room for footpath dining, the Village square will offer residents and visitors a space to congregate and socialise. 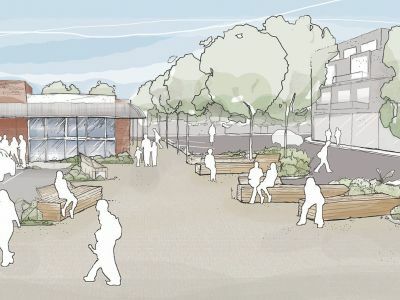 The new Village square was a core theme of Council’s consultation for Sandringham, with over 80 percent of people surveyed supporting the concept. Please note the Masterplan document is split into three parts to make it easier to download and view. 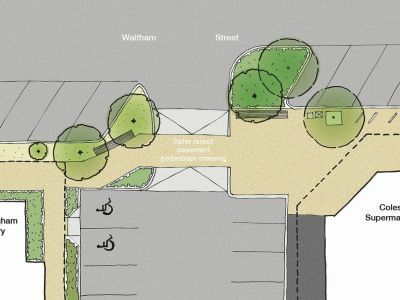 At the intersection of Waltham Street and Chalmers Avenue between the Sandringham Library and Coles Supermarket, a new public space would be created. 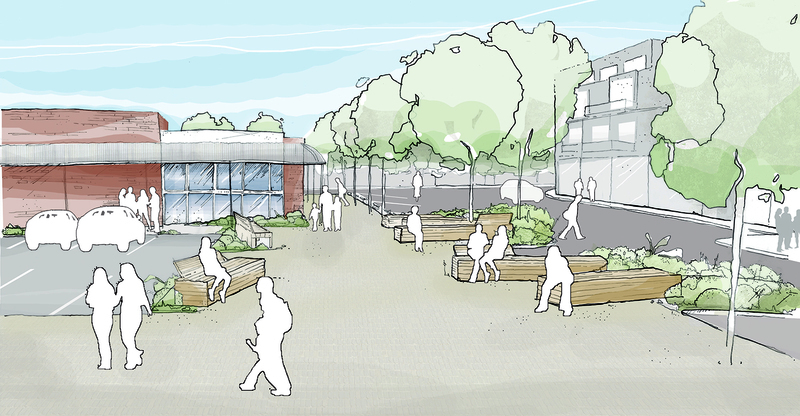 This would provide an area for people to meet and socialise outside the Library. Traffic will have access to the carpark through this raised area at the same level as the footpath while making the space more pedestrian friendly. 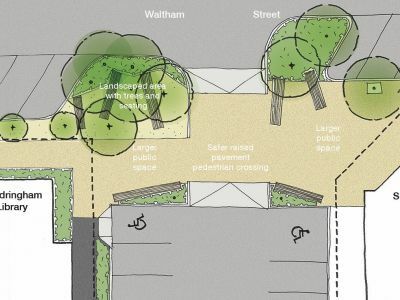 A wider footpath and narrower roadway along Station Street between Bay Road and Waltham Street will make it easier for people to walk around the Village. 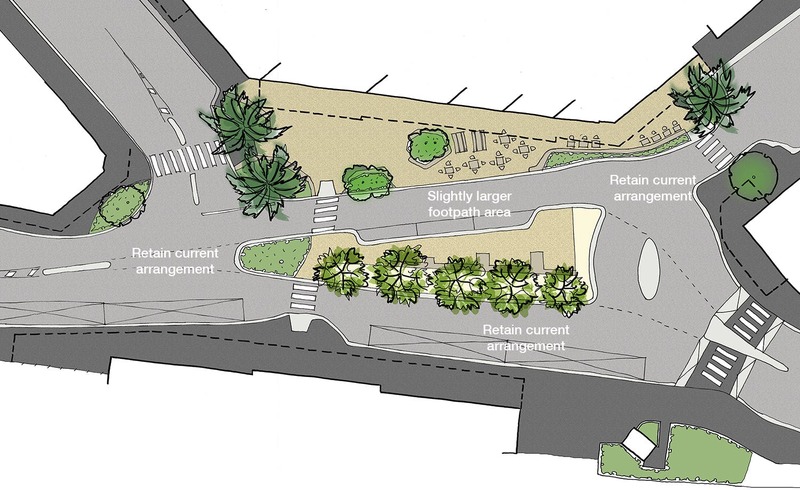 The wider footpaths provide space for an avenue of trees, which will shade and cool the street. Cafes and restaurants will also be able to use the space for more outdoor dining which will increase the vibrancy of the street. 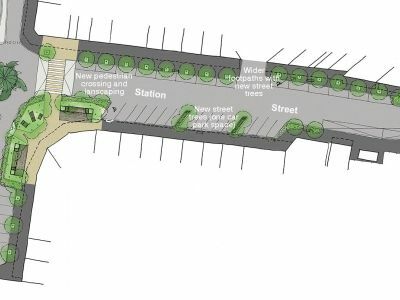 This opportunity exists because Station Street is much wider than necessary and can be changed without affecting car parking or traffic movement. A new raised pedestrian crossing over Station Street at the roundabout with Bay Road will also make that intersection safer for pedestrians. One of the key findings from the community engagement was that there was a strong desire for more and better quality planting in Sandringham Village. In keeping with the beach-side theme, plantings will emphasise native trees and plants that grow well in coast allocations. How would you like to improve Sandringham Village? How do you think we can make it easier, safer and more enjoyable to walk/cycle around Sandringham Village? How would you like to see the Station Plaza used in the future? This survey has concluded and the information gathered has gone towards developing the Draft Streetscape Masterplan. In our conversations with the community, we heard that you wanted a community meeting place, with more seating, places to relax and spaces for more outdoor dining for the adjacent cafes. This space could be the first Village Square in the City of Bayside. It could provide people with a place to relax on the lawn before catching their train, or provide a location for events and activities. We have come up with two design options and would like to share them with you and understand what you like and don’t like. Have a look at the drawing that illustrates the options for this space. 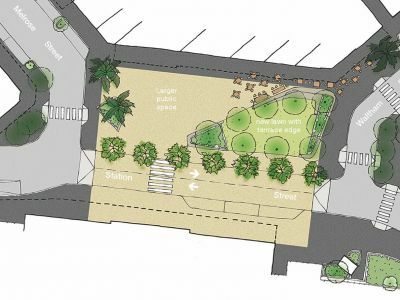 Option 02 makes only minor changes to the current design, by converting three car parking spaces alongside the cafes into footpath for more outdoor dining and a wider footpath. 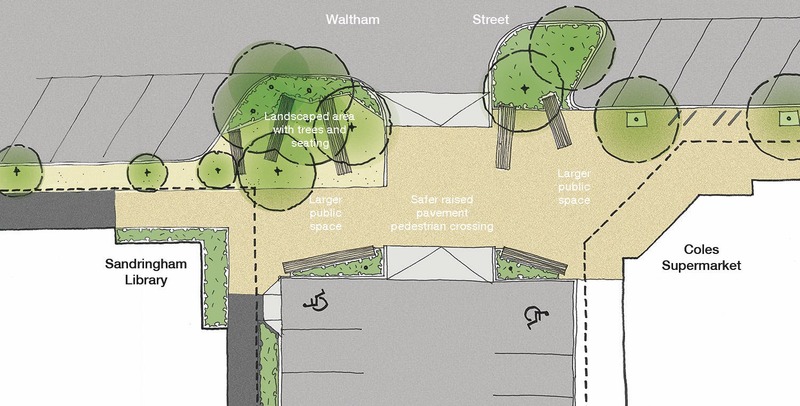 The corner of Waltham Street and Chalmers Ave, between the Library and the supermarket could become a community space where people could pause, sit and gather. We have come up with three design options and would like to share them with you and understand what you like and don’t like. Have a look at the drawing that illustrates the options and the potential this space has. 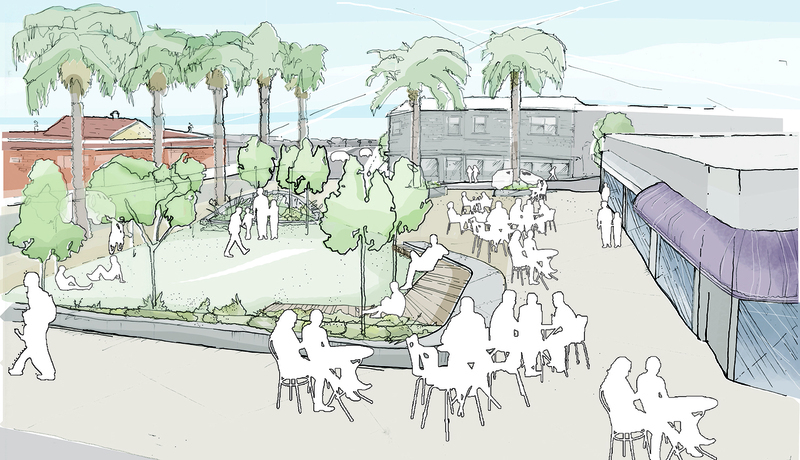 Option 01 converts four car parking spaces and turns the space into a community space, with more seating planting and opportunities for people to gather. It creates a proper entry for both the Library and the supermarket. Works will include a raised pedestrian crossing to improve people’s safety. Option 02 converts two car parking spaces to create a slightly larger space than is currently there, with some of the above mentioned benefits. Works will include a raised pedestrian crossing to improve people’s safety. 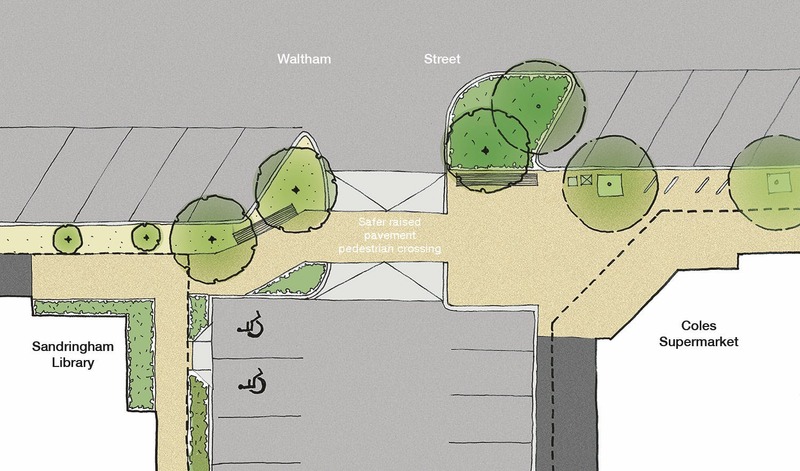 Option 03 isn’t illustrated, but retains the existing car parking arrangement and improves the footpath space available. Works will include a raised pedestrian crossing to improve people’s safety. Station Street between Melrose Street and Bay Road is wider than required under the Australian Standard. 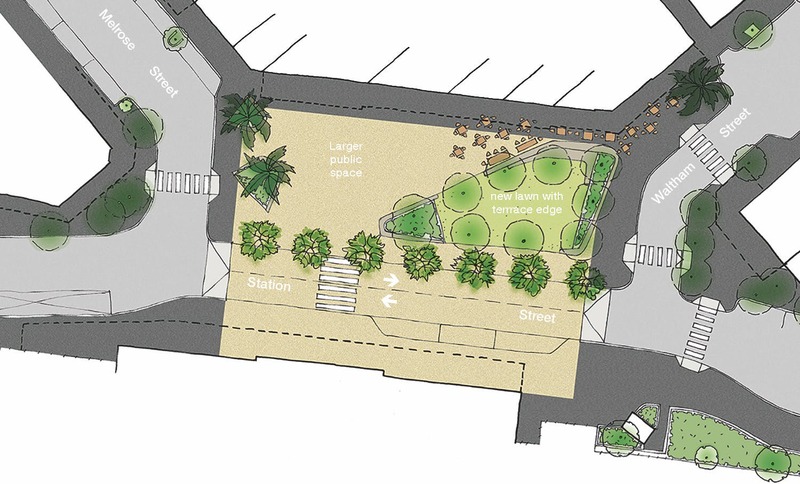 This provides an opportunity to widen the footpath without affecting car parking or traffic movement, making it easier for people to walk around the centre, enabling traders to offer outdoor dining and for planting new street trees. Over the past year we have been seeking the community’s feedback on how we can make the Sandringham Village an even better place to be. In response to our first round of consultation in May 2015 we came back to the community in September and October with a number of early design ideas to test whether we were hearing you correctly. 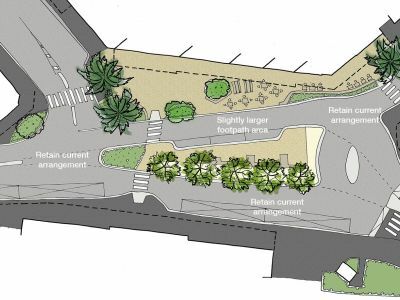 The three major design ideas were the opportunity to create a new Village square directly in front of Sandringham Train Station, a public space on Waltham Street between Coles supermarket and the library and widening the footpath along Station Street for more street trees and outdoor dining. The draft Master Plan has been prepared for presentation to Council for approval, but we want to hear if you have any final comments before it is finalised. See the 'Previous Community Engagement' tab to see the great ideas collected from the community. Input collected from the community will help to prepare the Draft Streetscape Masterplan. This plan will guide the ongoing management of and future decision-making for maintenance and upgrade works in the Village. This phase will provide the community with the final opportunity to comment on the draft Streetscape Masterplan before it is endorsed. Input collected will directly inform the Final Streetscape Masterplan. Present the final Masterplan to Council for endorsement.